Lost Inhibitions White is a refreshing blend of Chardonnay, Muscat of Alexandria and Sauvignon Blanc. 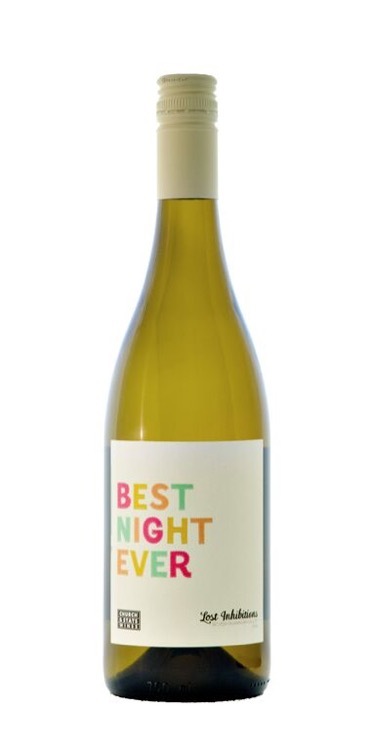 Fruit aromas of apricot, guava, peach, melon and lemon zest mingle with hints of vanilla. Citrus and tropical fruit flow across the palate into a lush and lingering finish. A wonderful aperitif, Lost Inhibitions White is also a versatile food partner. Enjoy with buttered popcorn, grilled seafood and soft cheeses. - Because every case is filled with different random labels we cannot ship pre-selected sayings at this point. What you get is a random selection of our fun labels. White wine is a wine whose color can be pale-yellow, yellow-green, and yellow-gold colored. The wine is produced from a variety of grape varieties. The flavor and color comes from the juice of the grape and sometimes the skin of the grape as well. Interestingly, not all white wine comes from white grapes. Some select red grapes are used as in Champagne.